Your dog’s home away from home. No matter how much we grow or how many years we operate, we will never have kennels. We will always design our center to be as homey as possible. Dog’s don’t rest in big, cement slab runs at home. They most likely gaze out the window and watch birds, or perhaps get comfy under the kitchen table. Most likely they sleep in bed with you! Well since we can’t provide king size beds, we offer the next best thing. A standard crate, just like you use at home, or areas designed to “feel” like a bedroom, laundry room, kitchen, or “hang out.” Come and see why dog’s love us. We have the dog house you want to be in. Our dog house door is always open. Travel more. Worry less. Spacious outdoor walking area to prevent indoor “accidents” and ensure home like routines. Our teams will gladly deliver your pet to you or bring your pet inside. We will happily unload your car for you anytime! Our dog house door is always open. Come and see why Wag is different. 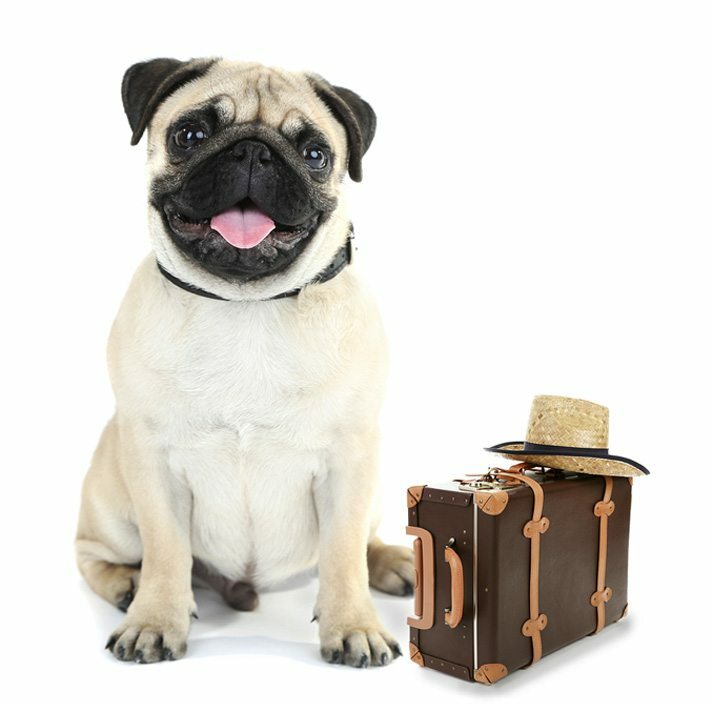 At Wag ‘N’ Tails, our dedicated and experienced team strives every day to provide your pet with safe, expert and attentive round-the-clock care, and you, the pet parent with outstanding service and support. Come and see why Wag is different. We encourage you to compare us to others by touring all types of centers. You should select the care for your pet that you know will suit you and your dog’s needs. We are confident you will be forever happy you found us! No extra charges based on size of dog. Big or small, we love them all! Open and cozy in our salon area. Perfectly sized for your pet and great for dogs who have outgrown the crate at home or rarely use it anymore. No extra charges based on size of dog. Big or small, we love them all. Perfect for dogs who are aging, prefer more people interaction than dogs and prefer a more relaxing area during break times. Quiet and private. This area is typically at our front desk or staff office areas for close monitoring and individual attention. Great for elderly dogs, those with special needs or those who prefer quiet. Note: Private room waiver must be signed in advance of reservation. Private rooms are designed like home. Pet parent is responsible for any/all damages to the room. Paws down, this is every pet parent’s favorite service we offer. Check out why our report cards are requested so much! These chew bones are all the rave in dog world! Fun & Delicious at only $5 each. These tasty and long lasting frozen treats are prepared for those special pups who deserve only the best! We offer our Specialized Care Program for guests who are not eligible for play groups. Designed for unaltered males, guests with medical conditions limiting their mobility as well as guests that display aggressive behaviors that may not be suitable to interact with other guests. These services are also for our guests who could be new to their home or to Wag. Not all dogs handle being away from home. That’s ok! We have trainers available for stress relief. Perfect for our nervous nellies. Session includes essential oils and anxiety wrap. Each guest in this program enjoys 3 individual walks per day and lots of personal attention from our caring staff. This service is for our dogs who are not involved with the other dogs in our play and train programs. Some dogs just love a good, long walk to sniff and check out the neighborhood. We get it. The dog’s love this one on one time. This service is for dogs who are active in the play and train program. Our trainers can teach your dog how to balance and strengthen using our specialized exercise equipment. Perfect for those who just can’t get enough! Perfect for dogs that wish they could read. These are those smart cookie types that desire more mental stimulation. Add on some “one on one” fun. If you think your dog would like to have the room and the equipment all to himself with a trainer, this is a perfect extra! Trainers work on commands with the jumps, tunnels and ramps. If you have a ball hog dog, this add on is perfect. The go dog go machine will blast tennis balls for as long as your dog can take it! Trainers work on the concept of catch and drop it. We’ve all met the class clown, this is why we have time set aside just for these sillies. Bacon flavored bubbles. Yep. You read right! Perfect for those silly, running, jumping types. If you need help with any problem behaviors or perhaps just some fine tuning from your class or in home training, we’re here to help. Coming when called, leash pulling, jumping up or even trick training! While you are away, schedule a trainer to run your dog through a class as a demonstration dog or just to work on a few basics. This is a great way to keep up with the learning foundation.